We provide pricing that is simple to understand, regardless of the complexity of work performed. 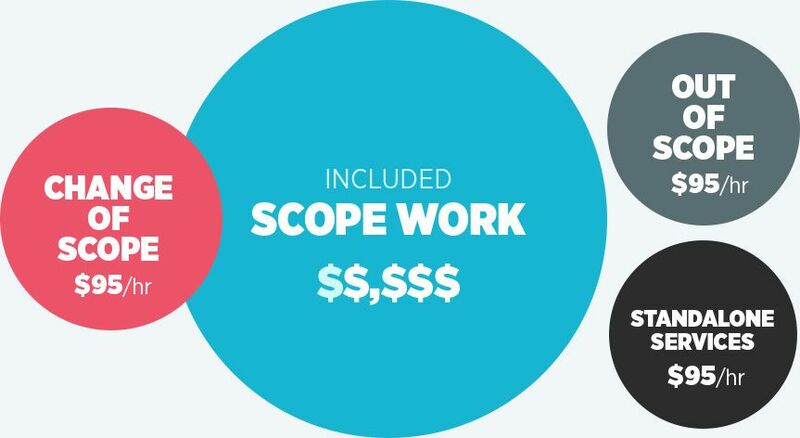 Scope Work is all work which is included in the Scope Statement per project. JG will perform all work for a fixed rate that is reflected in the scope. Don’t ever worry about going over budget. Agency Rate is applied to all work completed that is not included in the Scope Statement. Our Agency Rate is almost half of our competitors' which provides an advantage to our clients because of the value provided. Think ROI; we do! Below is a breakdown and understanding of how our pricing works. Change of Scope work is performed when the original scope is modified. If the amount of resources, scheduling and/or budget is increased, we bill $95 an hour for services performed. 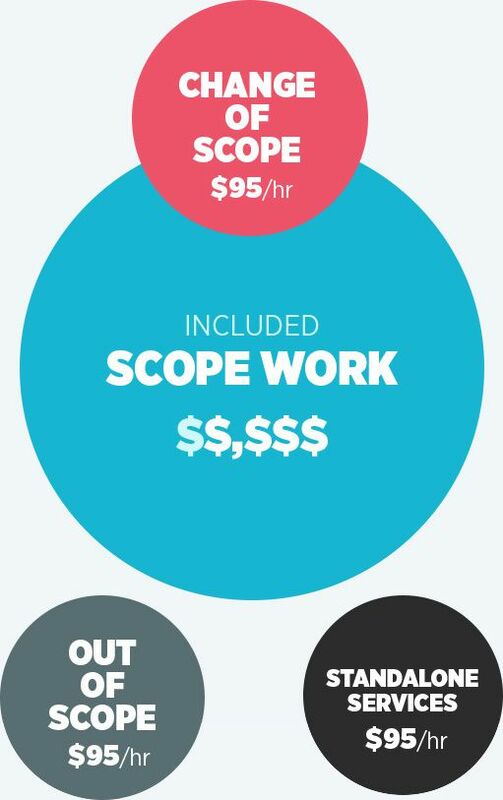 Out of Scope is work performed that has no impact on the project and, rather than incurring additional expenses by setting up a new project for our clients, we perform the services at a billable rate of $95 per hour. An example would be if IT services were needed in addition to a project; however, those services have no impact on the success of the original scope. Standalone Services is work performed after or before a project is created or completed, and is not included in the scope, and may not even have a scope or be attached to a project. An example would be if you required consulting services without a project and, thus, would be gaining information to make decisions about available options. Perhaps clients will require a few hours of work months after a project is completed and this would be our Standalone Services. HOW TO LEVERAGE DIGITAL MARKETING.